ShopSAR.com is very excited to announce the release of the brand new Katzkin Leather Samples Book. 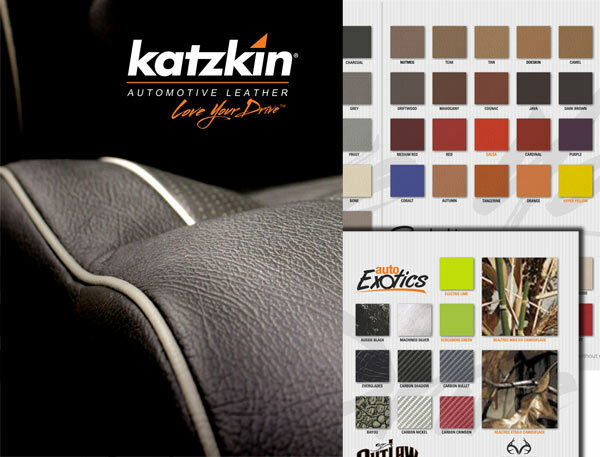 As usual it features all of the different materials from the #1 name in automotive upholstery, but we have some brand new materials and colors added to the lineup! Mango - you asked for an orange suede? we give you mango! Of course we still have all the great Barracuda and Tuscany colors too, and you can see them all in the Katzkin Samples Book by clicking here! As always, you get a full credit on your book back when you return it within 90 days!